Through obvious, retroactive and lobbyist amendments, the Insurance Code Bill, adopted at second reading, puts once again the interests of insurers above those of insured citizens and victims of road accidents. 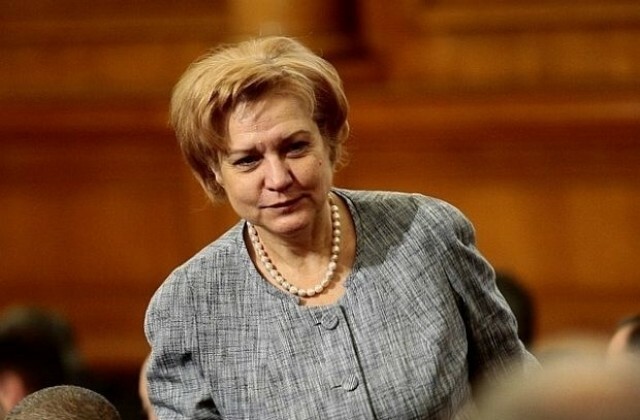 The new texts were voted after Prime Minister Boyko Borisov’s order to withdraw scandalous lobbyist amendments to the Insurance Code tabled by the lawmaker from his own party, Menda Stoyanova, which limited the damages for non-pecuniary damages to BGN 20,000. Bivol was the first to report on them in a November 3 article. 95. Until the entry into force of the ordinance approving the methodology under Art 493a, Para 2 for the determination of the amount of the indemnities for the injured persons under Art 493a, Para 3 for pecuniary and non-pecuniary damages as a result of bodily injury, respectively death of the victim, including events occurring prior to the entry into force of this law, shall be applied to the present order. A quick reading reassures that things will remain the same, however, the big catch is that they will remain under the current order only until the adoption of an ordinance to be developed by the Guarantee Fund, which is a defendant in many of the cases that have already been filed by the victims of road accidents. Thus, the law now entitles the defendant in such cases to prepare and apply an ordinance, which will be the basis for calculating, both, pecuniary and non-pecuniary damages. A similar situation would be if a debtor is to be given the right to determine the rules by which their debt to the creditor is calculated. The text that this future methodology will also apply to events that occurred before the entry into force of the law i.e. retroactively, reeks of lobbyism even strongly. Insurers now will appeal all cases that may be appealed in order to extend their term until the ordinance enters into force. At the same time, they will authorize lawyers close to insurance companies to receive a full fee including VAT. State fees on appeals will also be paid in full. Thus, the final result of this paragraph 95 would be that all victims who have pending cases for insurance events from three to five years ago will receive nothing, and maybe that eventually they will even owe money to the insurance companies. Paragraph 95, introduced by Menda Stoyanova and adopted unanimously, reveals the hidden intention behind the changes to the Insurance Code. They are far from giving insurers the opportunity to deal with the many claims brought by distant relatives after July 21, 2018, and the rule of the Supreme Court of Cassations. The hidden intention is to reset all cases against insurers pending in the courts and to reverse the legislation to benefit them. The adopted amendments to the Insurance Code were backed by all political parties in Parliament, including the ruling Citizens for European Development of Bulgaria (GERB) and its coalition partner, the United Patriots (UP), the opposition Bulgarian Socialist Party (BSP) and the opposition Movement for Rights and Freedoms (DPS). At the last moment, however, Yavor Notev from the UP changed his vote, probably scared by media reports (the site PIK) with information about his contracts with the State Insurance Institute (DZI) for legal representation. The report mysteriously disappeared after Notev’s vote. According to documents which Bivol has examined, Yavor Notev’s law office has earned more than BGN 100,000 during his lawmaker term from defending the DZI against the victims of road accidents. As MP, attorney Yavor Notev has been one of the biggest supporters of the amendments to the Insurance Code and a prominent spokesman on the subject. His parallel attorney activities, however, are a stark conflict of interest and raise suspicions of lobbyism. Beyond the issue of morals, ethics and professionalism, questions arise about the alleged influence of insurance companies on politicians, whether there is a cartel among insurers, and how an entire Parliament works in favor of one sector against the three million Bulgarian citizens who are paying the mandatory third party liability insurance.